at the Wyndham Orlando Resort International Drive! GENERAL GUIDANCE - Please read this information prior to submitting a program proposal. 1. Pre-Convention Workshops will be SUNDAY, November 17; regular program sessions will be November 18 & 19. 2. All program proposals must be submitted through this online process by no later than APRIL 30. 3. To submit a second program proposal, you must use a different e-mail address than you use to submit the first program proposal. 4. Proposals must be completed in full or they will be rejected. 5. NEW TIME OFFERING: we are offering 40 minute sessions in addition to our traditional 50 minute session times. Be sure to indicate which you prefer on your proposal form. 6. Member presentations may not include any promotion or sale of products, services or materials. 7. 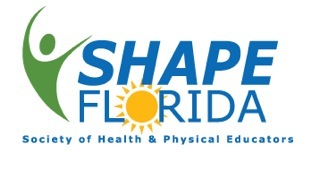 ALL IN-STATE Presenters MUST be current members of SHAPE Florida. Out-of- state presenters who are current members of other related HPERD professional organizations with which SHAPE Florida has reciprocity (includes other STATE associations but not SHAPE America) or are employed exclusively in fields that are NOT part of the HPERD professions (medical doctors, police, education department personnel outside of HPERDS, etc.) will not be required to purchase SHAPE Florida membership. 8. All Presenters Must Register for the Convention. 9. After submitting a program proposal, you will receive an auto-response e-mail to indicate that your program has been received and that it is under review. 10. Every effort will be made to notify you by June 30 as to the outcome (accepted or not accepted) of your program proposal. 11. No person may present more than two (2) plenary sessions. 12. SHAPE Florida does NOT provide computers or laptops. 13. Submission of a Program Proposal signifies the acceptance of the above stated policies. Above, select the 'INVITATION' tab across the top banner to submit a Program Proposal.